“If the love for my country Bharat is considered Hindu militancy, then so be it!! Choose death before dishonor! If you are a Hindu, there is nothing more important in this world than your motherland - Bharat! Fight if you must! Die if you must! No Hindu can ask for a better death than defending their maatru Bhoomi (mother land). One, who is not proud of his honour and his Nation is not a man, but a male-animal and a Dead." Hinduize politics and militarize Hindus! - Veer Savarkar. There are many Hindu traitors who occupied pivotal roles in print and electronic media, politics, business, movie fields, literature, administrative posts in the government and other fields who are determined to disgrace, discredit, demean, denigrate, destroy and deprecate any thing that is Hindu as fundamental, communal, anti-minority, superstition, and orthodox. These traitors are criticizing, attacking, stabbing, brutalizing, suffocating the richest civilization that allowed freedom, independence, wisdom, intelligence to flow for millennia that they are enjoying and reaping the benefits for their selfishness in gaining monitory benefits, name, fame, power and positions. These are the traitors who are short sighted, manipulative, power-hungry, corrupt to the core sacrificing their own religion that gave them the freedom,and their mother land (Bharath Mata) that advocated, cherished and treasured the principle of vasudhaika kutumbam (universe is one family). Naipaul observed: “No civilization was so little equipped to cope with the outside world, no country was so easily raided and plundered, and learned so little from its disasters.”George Santayana even braved to observe as to what happens to those who learn little from the past and what might happen to those people. “Those who do not learn from history are doomed to repeat it” is more applicable to Hindus than any other religious group. Hindus never learned the lessons of the past; never understood the hatred of other religions toward Hinduism; never botheredto know as to how many millions of their own ancestors were attacked, robbed, raped, terrorized and killed by Muslims; never comprehended as to how a mosque was built on the place of Krishna Janmasthala in Mathura. Hindus cared little for how Sri Rama Temple was destroyed and Babri masjidwas erected using the sacred pieces of the Temple;how a mosque was built in the front entrance of Kashi Viswanath Temple; never cared to know that more than 2000 Hindu Temples were destroyed and mosques erected over these places; never understood as to how a Shiva Temple known Tejo Mahalaya was converted into a Tajmahal; never even knew that during Goa Inquisition their own ancestors wereeither converted forcibly or killed for refusing to be converted by Christians.Not only Hindus have been totally blind, ignorant, ill informed, uninformed, jaundiced eyed about the richness, universal nature of their own religion, they even start negating the history of horror and terror inflicted on them, and negate the library full of scientific facts and figures; Keonraad Elst observed that“Entire cities were burnt down and the populations massacred, with hundreds of thousands killed in every campaign, and similar numbers deported as slaves. Every new invader made (often literally) his hills of Hindus skulls.Thus, the conquest of Afghanistan in the year 1000 A.D. was followed by the annihilation of the Hindu population; the region is still called the Hindu Kush, i.e. Hindu slaughter.”Not only Hindus negate and do not acknowledge the horror inflicted on them, they even rewrite the history to applaud, admire, compliment, praise,justify, and vindicate the Islamic onslaught and Christian Inquisitions. Enemies within: Since Independence Hindus have become their own worst enemies. They are literally destroying their own Hindu civilization in front of their own eyes and with their own actions as politicians, academicians, intellectuals, secularists, liberals, Marxists, journalists, media specialists, and atheists. They have become McCauley’s children demeaning any thing Hindu and embracing shamelessly the policy of minority appeasement and unashamedly supporting the other religions who are determined to destroy the very fabric of Sanatana dharma. The plight as seen today, Hindus have to be wary, worried, fearful, and frightened about their own fellow Hindu. They are doing more damage, and destruction to their own Hindu religion. They are like parrots chirping the interests of the so-called minority religions without knowing what might happen to them when these minority religions become majority. They never talk about the 50 plus Islamic countries and the kind of freedom of speech the people enjoy in these countries. What will happen to these parrots when India becomes an Islamic country?Where would the parrots chirp? Where would all these Hindus go? Where would they hide? NO PLACE TO HIDE!! !Do they have their own country like Jews who have Israel;and Muslims who have more than 50 countries under their guns? Hindus future is bleak, depressing, gloomy, dangerous and miserable. They have become their own enemies digging graveyard for themselves. Soon they may become sacrificial lambs. Hindu politicians never talk about the uniform civil code and family planning; Hindu politicians never investigate the police atrocities committed against Hindus; Hindu politicians do not even condemn those Muslims and Christians for their hateful speeches demeaning the Hindu Gods; Hindu politicians have not yet addressed the Kashmiri Pandits’issue who were forced out by Muslims; Hindu policy makers have rarely talked about the continued infiltration of Muslims from Bangladesh swelling their population to chase out Hindus; Hindu politicians never open their mouth they hear about the imposition of Sharia law and issue fatwa on Hindu customs and traditions. Do these Hindu politicians, who are occupying the citadels of government, know what they stand for?What their position is on the preservation of human values, how they protect the freedom of speech, and how they guard the land of freedom from suppression of individual rights? Law and order situation in India is alarming.Police conduct is unbecoming ofpolice officers. Anybody can be arrested and charged with a crime without having any evidence. Police do not have to prove anything ever. One can be falsely arrested with no evidence very easily. The falsely accused can be subjected to harassment, intimidation, insult, accusation, threaten, and beating.In order to please the government’s minority appeasement policy and pacify the Muslim community, the police departments have become hunchbacks. They have become so crippled that they cannot think straight and enforce the law based on the evidence, honesty, law, justice, morals and corruption. They cannot even enforce the law because their hump was so crooked that they cannot walk straight, talk straight and think straight. They are under constant pressure from the government officials, they do not think of themselves as representing the law and order. Once you are disabled with that kind of hump, moral compass is squelched resulting in robotic behavior. Do what is told by higher ups? One is spared from exercising of mental faculty. With this kind of mindless behavior and crippled mentality, police departments are slowly engaging in the dereliction of their responsibility to the extent of trampling the rights of Hindus. There are many instances where police departments refuse to even register a case against any incident especially if it is against the Muslims. There is no accountability of flagrant violation of law by the police. The civilized societies cannot afford the absence of law and order. Who will protect the people if the guardians of the law cannot be guarded? How can we enforce law if the protectors become predators? Who will police the police? Now let us look at what has happened to a group of Hindus who were falsely charged with a crime they have never committed. Let us examine how they were treated, abused, beaten and imprisoned by the police department. 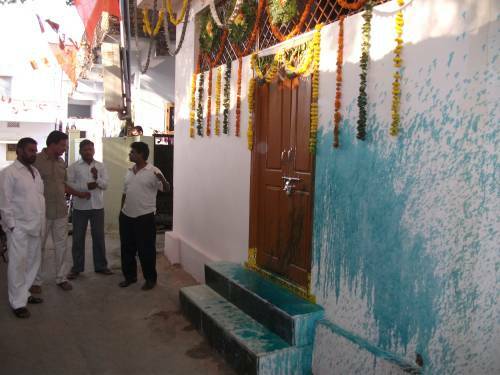 On April 8th2012, two days after a successful celebration of Hanuman Jayantiat Hanuman Temple in Kurmaguda in Saidabad area of Hyderabad, devotees of Lord Hanuman were shocked to find out that green color water was splashedon the walls of Temple. When they opened the doors of the temple, they found that large pieces of beef appearing to be the two legs of cow,were thrown inside the temple from the grills. This is an area where Muslims are in majority resorting to various sacrilegious actsand demanding the government to deny Hindu Temples to conduct festivals. Devotees of Hanuman Temple and other concerned Hindu youth protested against this sacrilegious act.The Muslims who are a majority in that area launched an offensive on the Hindus. The Police Departments rarely protected the Hindus, especially in a Muslim dominated area.With rising tensions and demands for immediate action to find the culprits, police resorted to lathi charge (beating with sticks) and eventually declared a curfew. 1) P.J. Victor, Additional DCP, detective department, speaking to media said those four persons assembled in a wine shop and finalized their plan under the guidance of Niranjan and Srinivas. As Nagaraj was a sanitation worker he knew the place where legs of burnt animals were dumped. They collected two severed legs of cow and green paint. After the midnight of April 7 they went to the Hanuman Mandir and planted the burned legs of cow in the iron grill of the temple and sprinkled green color on the wall. "We have specific information that the incident was executed by locals from the same community," said a source. 2) Intelligence sleuths are also closely monitoring the probe and confirmed the role of Hindu fundamentalist elements behind the attack. 3) An officer, who is part of the probe, revealed that the four suspects who have been on the run now, are just mere pawns in the big political game and the main challenge would be to get to the conspirators who used them to reap political benefits. "A middle level politico interested in contesting the assembly election in 2014 is possibly the brain behind the attack," police sources averred. 4) Analysts said that this gave a new dimension to the communal tension and revealed that polarization was being deliberately fomented to garner votes. Since the Saidabad is a Muslim dominated area in order to maintain their vote bank politics and other motives, the State government would allow and even encourage any wild statements by the police. Instead of finding the real culprits, the government falsely accuse Hindus with crimes and then arrest them, beat them up, torture them, humiliate them, and foist false cases against them. The Police, who is supposed to be in charge of law and order, who is supposed to collect all the evidence before accusing anybody, and who is supposed to guard the justice system, have become terrorists against the innocent, honest, sincere and moral people. They are creating mistrust against Hindus by falsely accusing Hindus. The mission of the Police Department appears to be to be friendly with Muslims at the expense of Hindu tolerance, patience, non-violence and forbearance. 4) One newspaper article starts with: It was not ‘jihadis,' but four Hindu youths, instigated by two local leaders, who planted the legs of a cow and sprinkled green paint. 5) Reacting to the news media reports, innocent, gullible Hindus jump to the conclusion that Hindus were the culprits in creating tensions and riots in the area. Media, minority groups and police departments collectively pointed fingers at Hindu youth with no evidence and with no proper investigation. The whole mission of the Police Department and media is to create doubt among Hindus against their fellow Hindus and to appease Muslims for vote bank politics.The police department becomes a prisoner of their own lies, false statements, and accusations against innocent without having any recourse for their actions. They may be in charge of the Department only to please the government, media and the Muslims with no shame, no scruples, and no principles. They think that are above the law. If any alleged culprit questions the Police, they can threaten the victims with beatings, terror, and more cooked up charges. Why Did the Police Arrest Hindu Youth? What kind of evidence do the Police have to arrest them? ZERO. NONE. That did not stop the police to make wild and false accusations. 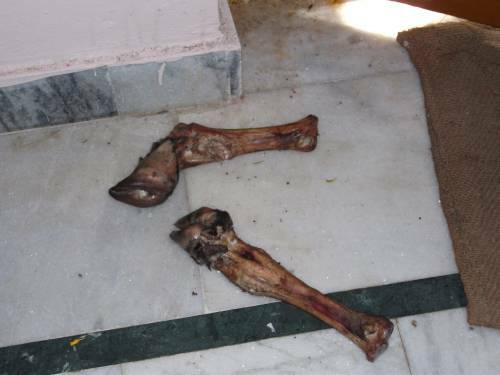 They said “Srinu and Niranjan hatched a conspiracy at a restaurant on April 7 when they asked Nagaraj, Kiran Kumar, Ramesh and Dayanand Singh to throw pieces of cow legs and sprinkle green-colour water on the wall of Sri Abhayanjaneya Swamy temple which divides two clusters of homes where two groups of people are residing. Nagaraju's lawyer, Karuna Sagar Kashimsetty had already filed a petition stating that the police had picked up his client from the residence on April 23. The lawyer stated that his client was taken to the Hyderabad Police Commissioner's Task Force office in Secunderabad where he was tortured for five days, the affidavit said. The lawyer announced that the police collected a false confession from Nagaraju using third degree methods, the lawyer said. “They tortured and threatened me to own up the offence. I am in no way connected to the case,” Nagaraju, who could not raise his arms and had difficulty in walking, told the magistrate. He maintained that he didn't dare to reveal police torture when he was produced before the magistrate five days ago as the police warned him of foisting more cases against him. The magistrate directed the Chanchalguda prison superintendent to submit the medical certificate of Nagaraju and furnish a report on his treatment on Friday. How Did the Police Torture Nagaraju? The Madannapet temple desecration case took a twist on Wednesday when one of the four arrested persons, N. Nagaraju, complained to the court that the police tortured him forcing him to confess to the offence. The magistrate sought explanation from the Special Investigation Team Inspector, Murali Krishna, following the allegation while directing the Chanchalguda prison superintendent to extend medical treatment to Nagaraju at the OGH. The 14 Additional Chief Metropolitan Magistrate, R. Radha Devi, said Nagaraju can also be taken to any private hospital for treatment. Nagaraju, 29, GHMC sanitation contract supervisor from Kurmaguda, was arrested along with three other Hindus of the same locality, five days ago on charge of creating communal disturbances by planting cow's legs in a temple and sprinkling paint on the temple wall in the first week of April. The quartet was accused of desecrating the temple at the behest of Niranjan Yadav and Srinivas, of the same area. Nagaraju and his associates, Kiran Kumar, Ramesh and Dayanand Singh, were later remanded in judicial custody. The case took a curious turn when the Madannapet police brought Nagaraju from the prison to the court seeking his custody in connection with some communal cases registered in 2010 following outbreak of violence after Hanuman Jayanti rally. Nagaraju's lawyer, K.K. Sagar, had already filed a petition stating that the police had picked up his client from the residence on April 23. He was taken to the Hyderabad Police Commissioner's Task Force office in Secunderabad where he was tortured for five days, the affidavit said. They collected a false confession from Nagaraju using third degree methods, the lawyer said. “They tortured and threatened me to own up the offence. I am in no way connected to the case,” Nagaraju, who could not raise his arms and had difficulty in walking, told the magistrate. He maintained that he didn't dare to reveal police torture when he was produced before the magistrate five days ago as the police warned him of foisting more cases against him. The magistrate directed the Chanchalguda prison superintendent to submit the medical certificate of Nagaraju and furnish a report on his treatment on Friday. 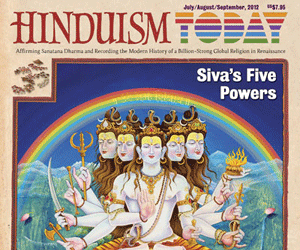 Can you imagine what is in store for Hindus? Do they want to experience a similar brutality like the one Nagaraj endured?Now it is up to Hindus to decide about their fate in Bharat Bhoomi. Do they have any rights? Can they get justice? Can they have the same freedom the minorities are enjoying at the expense of their survival? Can Hindu go to the police station and file a case against the atrocities committed against them by the minorities. It is up to all Hindus, especially those who are in politics and government, to realize the gravity of the Hindu predicament and look within to find out if they would have the same rights and freedom if Muslims complete their “unfinished business” of converting India into an Islamic country. As many of you know that SaveTemple Office was opened in June 2012 in Hyderabad. 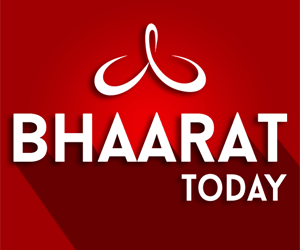 Office is located in Khairatabad. Dr. Ghazal Srinivas and his family is coordinating and managing the office activities. Four full time employees are working on the update of our website, Aalayavani Web Radio, Aalyavani magazine, conducting various activities to preserve and protect Hindu Temples and Culture. Our budget is approximately 2 lakh rupees per month. We request your generous donation to conduct activities to promote unity among Hindus and restore the glory of Hinduism.